Byzantine, Texas: Because you can't do all, doesn't mean you shouldn't do some. Because you can't do all, doesn't mean you shouldn't do some. Almost inevitably when an ascetic practice of the Church is enjoined to the people, someone will say, "Well, that's for monks. I'm not a monk." More often than not that's not true, but even in those instances where the monastic practice far exceeds what a layperson might be expected to do we shouldn't invalidate even the first step up that ladder. If it's a hundred steps and you know you can only do one there is merit in that one step. I have watched all my children learn to walk and none of them ran to me the day after their first step. And I have seen men learning to walk again after accidents and none of them thought they'd be going hiking tomorrow. So, if it is something you have never done or something that sinfulness has enfeebled you from doing, you will never accomplish even paltry results if you never put forth effort. More importantly, you deprive the Holy Spirit of an opportunity to work within you. (OCIC) - Once I was giving a talk about St. John of San Francisco, and someone said, “Well, this is all very wonderful, but, you know, I couldn’t go without sleeping in a bed for forty-two years!” And I said, “Okay, but could you start by just getting to church on time?” It’s the same thing with Fr. Seraphim. Fr. 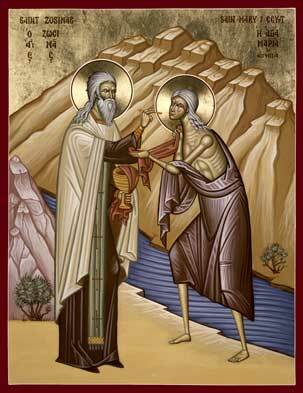 Seraphim was a great ascetic. Quite beyond most of us. But we could just start by keeping our eyes on Christ, as he did. We could pay a little more attention to what is supposed to be the center and focus of our very being all the time: our Lord and Savior Jesus Christ. If we do that, if we are inspired to do just a little bit more each day than we did before, then Fr. Seraphim’s legacy truly continues to live on. 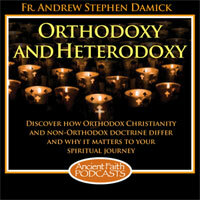 And really, basically, that’s what Orthodoxy is all about. I agree with you, Father. However, it is equally important to stress that asceticism is a means to an end (St. John Cassian, amongst all the fathers, seems to teach this most clearly, at least in my limited reading). There is nothing inherently saintly about sleeping upright in one's chair. Asceticism, the reading of monastic literature, etc. - all of this is strong medicine and requires a certain pastoral casuistry as well as lay discretion in its application. Oh, certainly. I think the point to be made is that there is merit in denying yourself. Anthony in the crypt, Seraphim kneeling on the rock. etc. point to something we should aim for in general if not in strict mimicry. A good article, and also a good comment from Reader Maximus. I do think it worth noting as well, though, that getting to church on time is not something we should regard as an ascetic practice-- though it may sometimes turn out that way when we have small children to get dressed and ready on time! If we are late to work or school or the beginning of a movie or concert, we are failing in our entirely reasonable and normal social duties in everyday life. If we are late for those things, we may lose our job or fail our year or lose the goodwill of other audience members, so we mostly try to keep up with those. Sunday liturgy is an invitation to dine at the table of the King of the Universe-- how can we regard this as a burden or an ascetic challenge rather than the great undeserved honour that it is? 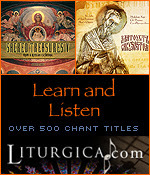 Regardless-- let us indeed seek to make a beginning at right worship, especially at this beginning of the Church year! Coming to Church is a solid first step. Whether it be accompanied by the struggle of dressing children who don't want to get dressed or any other difficulty. 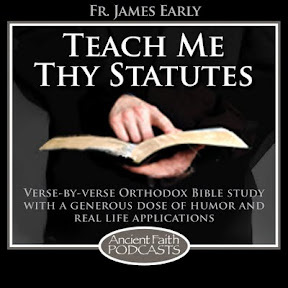 Vespers, Matins, the Liturgy, Bible study, etc. are for all intents and purposes free. It's there waiting for us. Make it to services then get to the hard work of sanctification through prayer, fasting, almsgiving, and forgiveness. Actually being at the services is a start and gives you that helping hand to strive for more. I believe there is asceticism involved even in small matters such as getting to services and getting there on time because we must frequently overcome great opposition of the enemy and of our flesh to do so even if there are no practical obstacles to overcome such as requirements from our job to work on Feast Days or distance from an Orthodox church, which is the case for many. Even seemingly small matters such as this will many times be a genuine struggle, even if once we arrive, we are blessed (and I always am). This advice put me in mind of Fr. Stephen Freeman's article on his blog entitled "It is But a Small Thing." I have turned to that article many times and taken encouragement from it. How do we get to where God wants us to be? Only by His grace and one step at a time . . .